These testimonials are divided into two different categories. The first set of testimonials are from owners who owned dogs that previously had dog/animal aggression issues, people aggression issues or dogs that were aggressive to both people and dogs/animals. The second set of testimonials is from owners whose dogs had no previous training or had any number of behavioral issues. Do you believe these pictures? We have been patient with everything that you have taught us and at times truly wanted to give up and just find a new home for Rainey. After two and a half months of implementing our leadership, restructuring our relationship with each dog and keeping them separate and I mean separate, the dogs have been re-introduced to each other. We can’t thank you enough for being a true professional. You spent a lot of your time with us through phone conversations after we made the poor decision to take the two of them on a week long road trip to New York thinking maybe this would help them bond. You gave us all the instruction on how handle them for the remainder of our stay there and our long journey home without knowing who we were or whether we would pay for any of your services upon returning to Florida. I’m glad I’m not a betting person, because I would have bet my house that these two dogs would never be able to co-exist. I never would have believed after the nightmare dogfights in New York that I would be sending you these pictures of the two of them. They are the best of friends and play partners! Your training has even paid off with my pet sitting business. I have used some of the skills you taught me for dogs I pet sit for!Thank you for everything you have done and please don’t hesitate to use us as a reference! 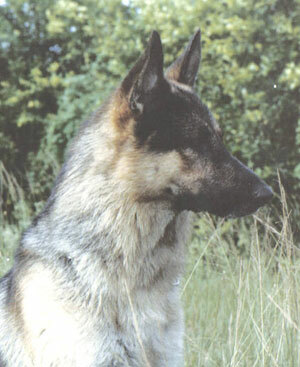 Dennis, I wanted to write and say thank you!I have always been around dogs and especially have a soft spot for German Shepherds, however, I have never been around or better yet, owned one that has been like the one I currently have. 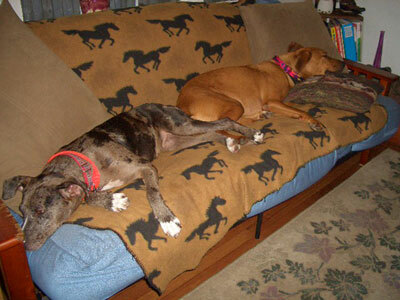 As you know, Beau started out with a rough beginning and ended up at the Humane Society. He seemed so pleasant and energetic; I could not pass him by. Then, upon returning to my home with him he immediately became possessive and very aggressive. I’ve never seen anything quite like it; he wanted to kill everything he saw. I then attempted to find a way to fix his issues, but was having no luck. Most places do not like to deal with or are not equipped to handle a dog of Beau’s nature. I was getting desperate… then I found your website. I was leery to say the least, as you well know. You came in and evaluated Beau and to my surprise were willing to train him despite his stubbornness and aggression. Not only did you have your work cut out for you with him, you had me to “train” too! I never thought in a million years, let alone a couple of months, that Beau would be so under control and he’s under my control! You gave us great direction and training. You were ever willing to help in all areas that we needed. He is turning into such a joy each and every day.We can now go for walks without me being dragged down the street, he actually follows commands now and the best part is I can now have people over to my house without the fear of someone getting hurt. Beau is still growing and we are still working with him. It is really amazing that you transformed him from an aggressive, possessive large pup to a calmer, pleasant dog that will do what he is told. You also armed me with all the knowledge that I need to own a dog like Beau. He no longer rules the roast and I have taken charge. Thanks to Dennis we have a new and improved dog! We rescued Jesse when he was about a year and a half old. He seemed like a very sweet and loving dog and we provided everything we thought he deserved. After some time he started becoming very aggressive towards other dogs. We also noticed that he started growling at guests in our home. He did what he wanted when he wanted and finally bit a family member. We were shocked as he seemed very sweet and loving. We were debating if we could keep an aggressive dog so we called two different dog trainers that were recommended to us. Each of the dog trainers had totally opposite training views neither of which we felt very good about. Both of their training styles made our dog even more aggressive and stubborn and he then started growling at us! Luckily I came across Dennis… In just a few minutes of listening to his viewpoints and knowledge I knew we had found the right trainer. We did a ten week program with him at our home and we had amazing results! He informed us that we have a dominant aggressive dog. He educated us on exactly what to do as well as what not to do. 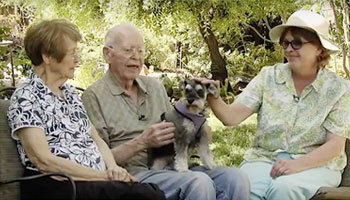 He worked with us to rehabilitate Jesse into a wonderful part of the family. He now listens and does everything we ask of him. He doesn’t show any aggressive or dominant behavior at all. He now gets along with other dogs and even goes to doggy daycare. The changes in him have been amazing! 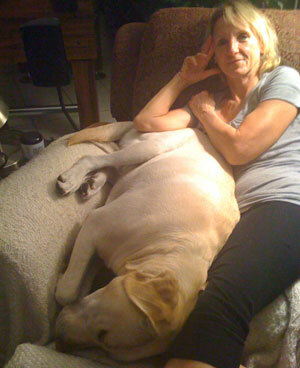 He is such a wonderful dog now and we have Dennis and All Point Canine to thank. We would highly recommend Dennis and All Point Canine to anyone for any kind of problem. He knows what he is talking about! 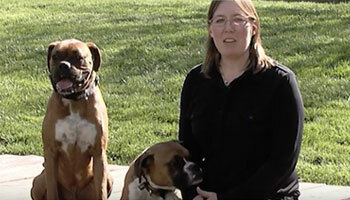 This is a testimonial that I wanted to share with other dog owners. 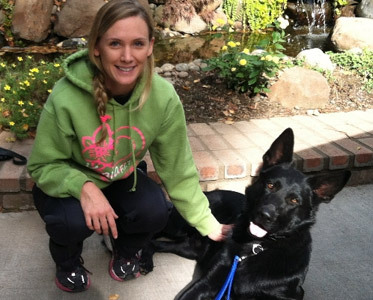 It’s about me, my dog Jonah and the impact that Dennis had on our relationship and his life. Jonah and I met at a local site for adopting animals. 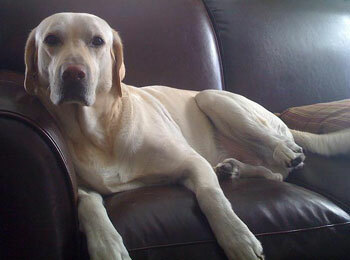 He was a beautiful blond Labrador and everyone knows how gentle Labradors are… except Jonah. Oh, Jonah was sweet as could be around people, but show him another dog and it was “red zone aggression” time! I had a history of raising and training dogs, so I thought it would just be a matter of some training, but after I sustained some serious injuries from being dragged to the ground on gravel, I knew that I needed help. I searched the internet and found Dennis. I read his bio and from my previous dog training experiences I knew he had the background that would be a good basis for handling Jonah. After a home consultation and the training that followed, I now have a very manageable dog. I’m extremely happy with my “new” dog and my dog is much more content now that he is not always on the verge of a nasty fight.The journey was always very positive. Dennis is a no nonsense trainer, but his attitude was always positive. Each lesson moved us forward. The sessions and the homework were rewarding for both Jonah and me. Jonah immediately responded very favorably to Dennis, the new way we interacted and how we trained. I had to make life style changes that I had not anticipated, but was determined to save Jonah and make him a family member. We followed all the guidelines that Dennis gave us, sometimes reluctantly, but today I am happy with every bit of change. Each concept that Dennis asked me to implement had a favorable impact on our day to day living and overall happiness.I am sharing the story of Jonah because Dennis really saved Jonah’s life. I believe Jonah was up for adoption because at ninety pounds he was a real menace at the end of a leash. I strongly feel that Jonah would have ended up going from home to home or being put-down due to his dog aggressive behavior. So, thank you Dennis for showing us the way! Jonah also thanks Dennis very much! Jonah doesn’t know he was saved from a grim future, but he does know he now loves his walks in the park and being a happy member of a family that thinks he is “The Best”. 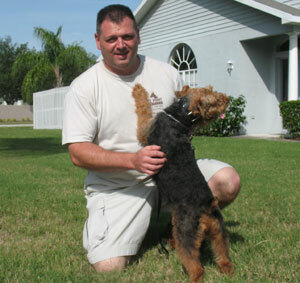 When I discovered Dennis’ website, I was at my wits’ end with my 2-year-old Welsh Terrier, Austin. 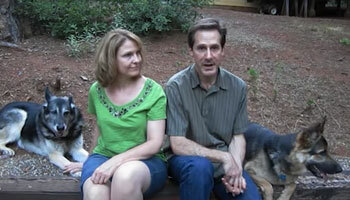 Since then, we have completed obedience and leadership training with Dennis. 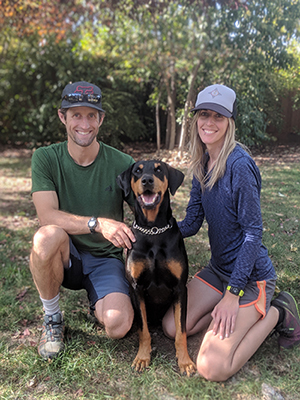 This experience has made such a profound and positive difference in Austin’s behavior and in our lives together, that I feel the world of dog owners should know what a valuable resource he is. He is a hero to our dogs.I purchased Austin at 16 weeks from what was essentially a puppy mill so his history is questionable. Two veterinarians and three separate behavioral consultants diagnosed him as dog aggressive and highly anxious. I’ve followed lists of instructions, read everything I could get my hands on, and found him, time after time, untrainable. Although he is a sweet natured good companion with buckets of energy, his aggression, even controlled by the anti anxiety medication Prozac, has controlled our lives to a large degree and made many activities, especially those of a social nature, unthinkable. At two and a half years, as he came into social maturity, Austin’s aggression got considerably worse. I started to feel threatened by his controlling behavior, and removed him from his pet sitting situation because he needed to be away from other dogs. My options were very limited, and I even considered putting him down. I knew, however, that he was a good dog, and deserved a real opportunity to control his aggression – if I could only find a way. This is when I found Dennis.During our consultation, Dennis really impressed me with his extensive knowledge and experience with dogs, the structure and discipline of his training methods, and especially with his commitment to the dogs and teaching owners to work with their dog’s nature to bring out their best. I was also impressed with how straightforward Dennis was about what he expected from me. Following Dennis’ advice, before any rehabilitation and training began; I asked my vet to please start the process of weaning Austin off of his anti anxiety medication.During the lessons, I watched Dennis train my “untrainable” dog beautifully. More importantly, he taught me to be my dog’s leader – to gain and to keep Austin’s respect. Dennis worked tirelessly side by side with us until we got it. He never lost patience, and answered every question – worked us through each and every challenge.I now have a dog who is calm and relaxed and watches dogs pass by him without a care. I can take him for a walk anywhere, anytime, and be proud of him. We’re a happy family, and we owe it to Dennis. I want to thank you for all you’ve done for Dan and myself and for Timber and Amos. Before your intervention it was nearly impossible to have anyone over as the dogs just went bonkers with continuous barking and jumping on our guests. 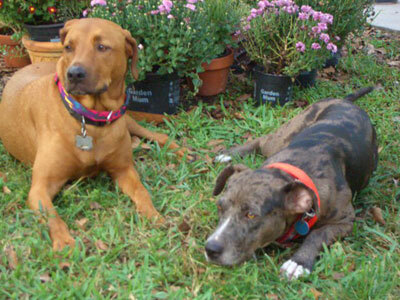 With Timber’s high energy and Amos’ lack of obedience, our home was in a state of constant chaos. 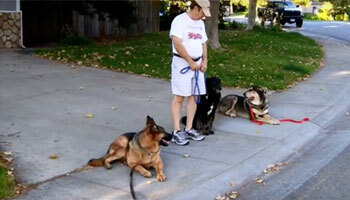 You were able to teach us the skills we needed to gain our dogs’ respect and view us as their leader. They are now able to accept people in the home without all commotion. While Timber may always be enthusiastic, she no longer mauls people in her exuberance. I’ve never seen as hard headed a dog as Amos, but through your persistence in working with us and patiently explaining things, sometimes over and over time and again, he is much more manageable. Most importantly, I believe you probably saved Amos’ life. His aggression towards us was escalating and he was biting us more frequently. Again, you were able to give us the information and physical tools we needed to gain control of him. Without your knowledge and experience in working with this type of dog, I know we were eventually going to have to put him down. For that Brian, I can never repay you. Over the years with other dogs, we’ve probably spent thousands of dollars on trainers and received much less than what you gave us. There may be many good trainers but not many great trainers. 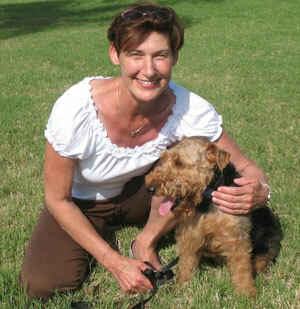 And of the great trainers, fewer still have your ability to communicate as clearly with both dogs and their people. Please feel free to use my name and phone number as a reference. I can’t thank you enough for teaching me how to be a better pet owner to my dog Sadie. It really is all about the proper training of the owner, not just the dog being trained. I can finally vacuum my house without Sadie going after the hose nozzle, as well as put away my spackle and putty knife as Sadie doesn’t scratch the walls anymore. We both even walk prouder and “together” rather than Sadie pulling me all over the neighborhood. We will always continue to work on our heel, sit, down, and stay as I know the importance of consistency with her. I am on my way to being the leader of the pack and appreciate your patience (with me), knowledge and training methods. You truly have done all that you said you could do and would do. I would like to give you my sincere thanks for a job well done. Your professionalism, patience, kindness and true love of animals is apparent in the way you conduct yourself while working. As you know, Flannigan was quite a hyperactive handful when you met him. It brings me great pleasure to walk him now without him “dragging” me along for the ride. In addition, I am proud when the neighbors compliment me on the change in his behavior. I felt compelled to write you a quick note and sincerely thank you for all the work you did with Hannah, and more importantly, me! I still can’t believe that in seven short lessons you have managed to transform her from a demanding, disobedient and hyperactive dog to the obedient and respectful girl that she is today.Through your instruction you taught me to be a confident and respected pack leader! In hindsight, everything that you taught me makes so much sense. Now, my relationship with Hannah is truly a pleasure. She seems so much more relaxed and eager to please.Please don’t hesitate to use me as a reference. I will without a doubt let anyone that is interested know the tremendous service that you provide. I can’t thank you enough for teaching me how to be a better pet owner to my dog Sadie. It really is all about the proper training of the owner, not just the dog being trained. I can finally vacuum my house without Sadie going after the hose nozzle, as well as put away my spackle and putty knife as Sadie doesn’t scratch the walls anymore. I am on my way to being the leader of the pack and appreciate your patience (with me), knowledge and training methods. You truly have done all that you said you could do and would do. I would recommend Dennis to anybody because he has done an outstanding job with Katie and her parents. This would have never happened had we not had the opportunity to work with Dennis Gulla. We never would have thought we would ever see these two dogs off leash together. The first day they showed us how to control this dog, not in a mean way, in a positive way. The reason why I’m telling everyone about this is I’m impressed, and I’m not easily impressed. I’ve seen stuff that’s smoke and mirrors and this isn’t, this really works. It’s a real different life. The best thing about finding Dennis is that I got to keep my dogs!